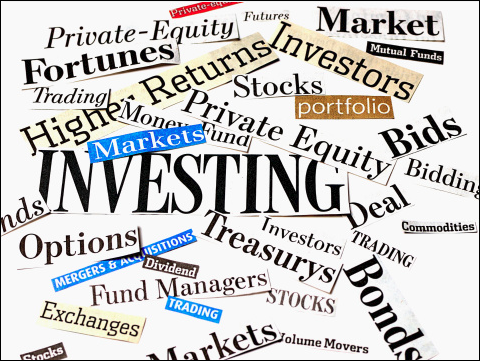 Investment managers often resort to derivatives trading to enhance portfolio yields. 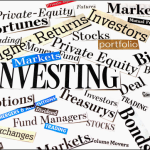 A frequently used income generation strategy involves selling call or put strategies when the investment manager is reasonably sure about the market’s direction after analyzing the macros. However, if the timing is wrong, the premium collected from put options could prove insufficient to offset the losses suffered due to downward movement in the underlying index/asset-price. A more refined approach for downside protection while preserving upside potential could be selling cash collateralized put options on the S&P 500. This is exactly what Kevin Rich seeks to achieve with the recent launch of the ALPS Enhanced Put Write Strategy ETF (PUTX). Kevin is the founder and CEO of Rich Investment Solutions, the sub-adviser to the new fund, and an ETF industry veteran. While working for Deutsche Bank, he launched such currency and commodity based products as the PowerShares DB US Dollar Index Bullish Fund (ticker UUP), PowerShares DB US Dollar Index Bearish Fund (ticker UDN), PowerShares DB Agriculture Fund (ticker DBA) and PowerShares DB Commodity Index Tracking Fund (ticker DBC). In 2013, he joined hands with CO-based ALPS to launch the first short put ETF – the ALPS US Equity High Volatility Put Write Index Fund (HVPW). The CBOE has been publishing for many years the two benchmark indexes for at-the-money monthly call and put option shorts; the CBOE S&P 500 Buy Write Index (BXM) and the CBOE S&P 500 PutWrite Index (PUT). While there are products that track the BXM, ETFs tracking the PUT-index have been missing until now. Historically, however, PUT has given better returns, which explains the new fund’s launch. PUTX sells one month put options on the S&P 500 ETF Trust (SPY) every month, or twelve times a year. The premium collected from the option sales are invested in short-duration investment-grade fixed income securities. However, there’s one unique feature to the actively-managed PUTX; it not only sells monthly puts on the SPX am-settled options that the PUT index uses, it also sells puts on the SPX pm-settled options, or American style options on the SPY ETF. This expanded strategy is aimed at helping PUTX pick up additional premium over the underlying index. Further, PUTX has the ability to roll some strike prices up for some extra intra-month premiums without adding material additional risks to the fund. Investors should note that since PUTX writes/sells put options on SPY, it’s likely to lose value when the S&P 500 falls. However, since the fund’s fixed-income portfolio is actively-managed, the interest income should give some protection against steep S&P 500 pullbacks. Thus, investors looking to participate in equity rallies along with a small investment income can consider PUTX. The fund charges 75 basis points annually, or $75 for every $1000 invested. This entry was posted in Covered Call Strategy, Income ETFs and tagged BXM, DBA, DBC, ETFs, HVPW, PUT, PUTX, SPY, UDN, UUP. Bookmark the permalink.